AMMONNEWS - The Ministry of Energy and Mineral Resources on Monday said that the price of Brent oil was slightly up from $59.9 per barrel in the third week of January to $61.4 in the fourth week, an increase of 2.5 percent. It said the ministry's data showed that the prices of diesel and kerosene witnessed a slight increase compared to the prices during the third week of January 2019. 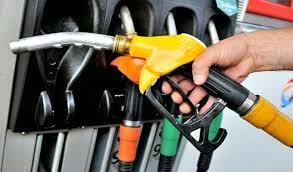 The price of diesel rose from $551.8 per ton to $556.9, while the price of kerosene edged from $587.7 per ton to $589.1. The price of 95-octane gasoline dropped from $528.7 per ton to $528, and the price of 90-octane gasoline also declined from $510.3 per ton to $509.3, while liquefied gas prices remained at $422.5 per ton, it said.